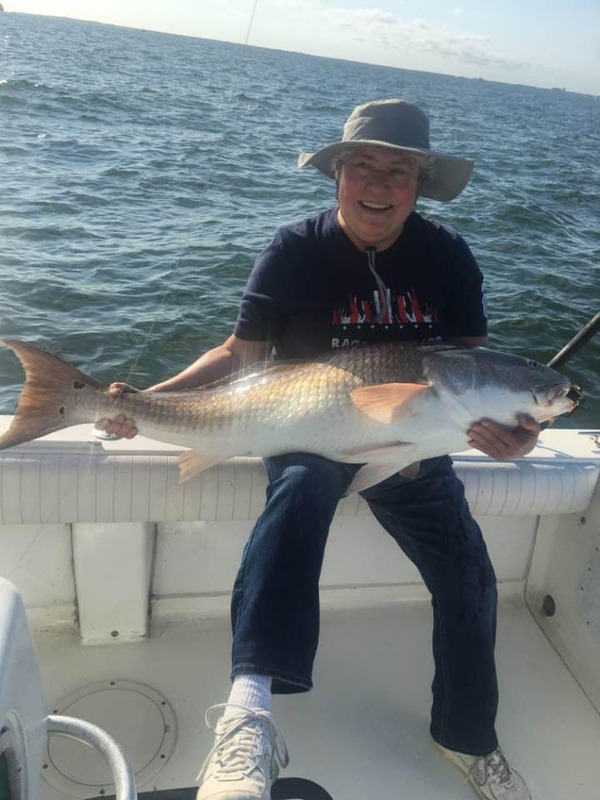 Hurricane Florence has passed and local anglers are back at it! And the cobia and red drum have not disappointed. Fishermen are encountering schooling fish on the move; Craig Paige, Paige 2 Charters caught some large citation reds this week. Sheepshead are plentiful around structure. Beth and Kevin Synowiec had a great catch over the weekend. Anglers fishing the Virginia Beach Fishing Pier are catching sheephead, spanish mackerel, a few spot, small trout and small black drum. Trollers are still finding the spanish mackerel biting up and down the beach and near the islands of the CBBT. Captain David Wright on the High Hopes put his crew on this nice catch. Ocean Pearl Charters, with Captain Steve Wray got in a good half day trip the morning. 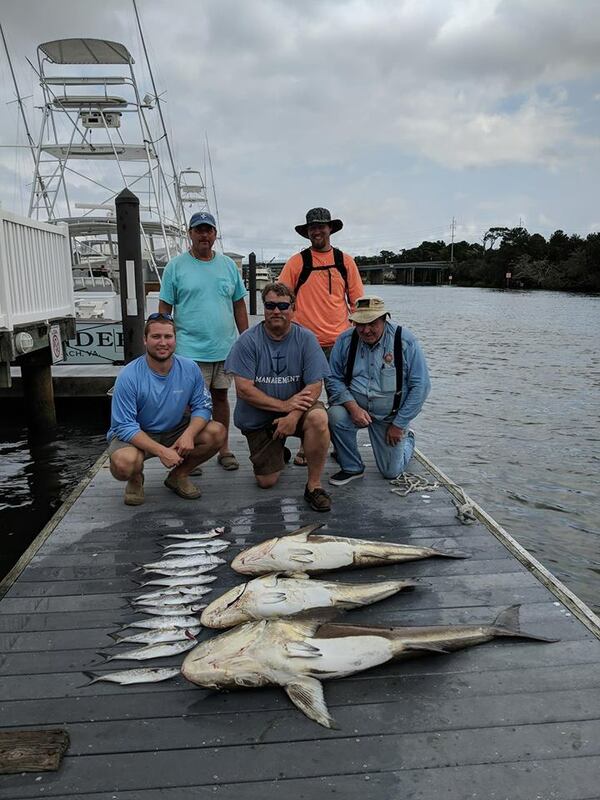 They hooked seven cobia, caught four, a 38″ (released),44″, 48″ and 57″. They found the spanish biting first thing and caught 13 keepers and a ton of throwbacks. 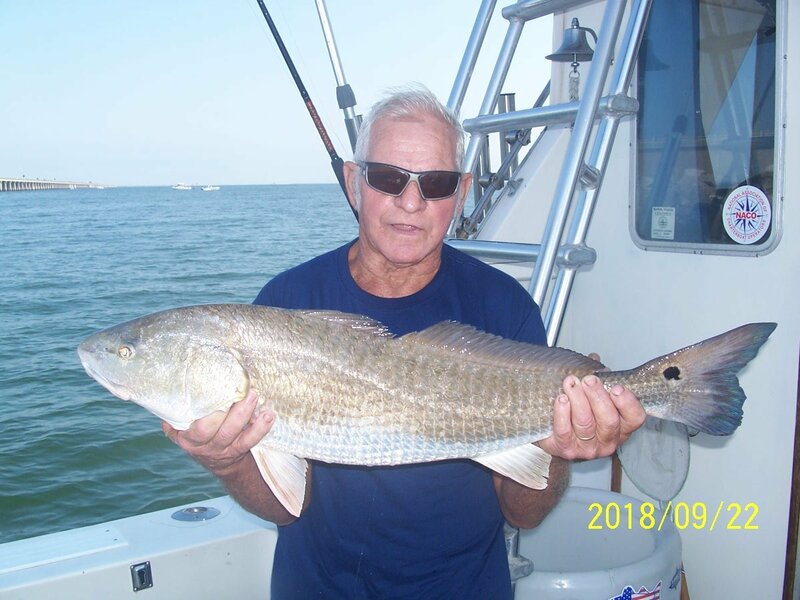 Captain Bill on Key Dreams Charters checked in with a nice catch. Seven nice flounder to 18″ and a 31″ red drum released to fight another day. They pulled the hook on a much larger red. Flags are flying! Those heading offshore were rewarded; the white marlin bite has been on fire. Along with the whites, boats landed a mixed bag of wahoo, tuna and mahi. 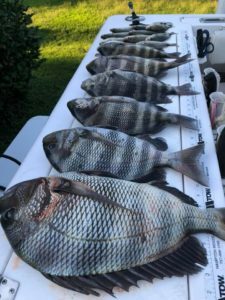 Down on North Carolina’s outer banks surf fishing has been very good in some nice clear water. Anglers fishing from Kitty Hawk to Corolla have caught bluefish, spanish mackerel and large pompano. A few cobia have been caught in Avon. Anglers down in Hatteras are catching citation-sized sea mullet, spot, and pompano on shrimp and sand fleas. Some large spanish mackerel and bluefish are schooling just behind the bar. Anglers at the Point have hooked some false albacore and sharks. Look for new fishing reports every other week from now until April. We will post any news releases from the fishery agencies as they are made available.